Cloud computing is taking over the business scenario. Everybody knows that more and more companies are enjoying the benefits of virtualizing their desktops and storages. However, what most companies don`t know is how relevant the exact numbers involving cloud computing are becoming. 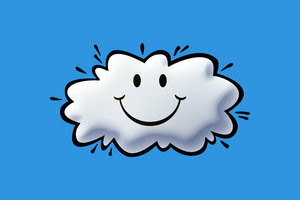 By 2016, 36% of all data is expected to be stored in the cloud. And that`s up from 7% in 2013. Cloud Computing is up to 40 times more cost effective for an SMB compared to running its own IT system. 90% of Microsoft’s R&D budget is being allocated to improve cloud technology. By 2020, cloud computing will cross the $270 billion mark. More than 2% of electricity in the US is consumed by data centers. For every 1200 smartphones or 600 tablets, a new server is added to the cloud. Over 50% of American companies increased their cloud budgets in 2015. 64% of companies have reduced waste and lowered energy consumption after shifting to the cloud.